In 2012, I wrote an article called The Top 10 TED Talks for Lawyers. Back then, most readers didn't know what TED was. Now, just a couple of years later, a majority of people have heard of TED and most have usually seen at least one TED talk. 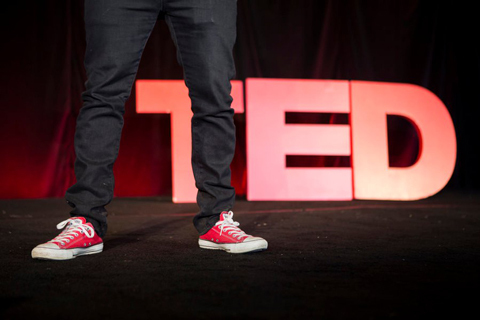 Over the last several years, a number of TED offshoot events were launched that dramatically increased the footprint and influence of TED and its "ideas worth sharing." TEDx events are TED-like speaker conferences but are independently organized and usually quite local. TEDed videos are informative videos produced and posted online to teach about a particular topic of interest. The list of TED talks I put together for lawyers and litigators in 2012 still holds up nicely, and I encourage you to browse it. In it, I included talks that focused on storytelling, neuroscience, juries and the legal system generally. For 2014, I want to share new videos on those same topics and also highlight a subject that the legal industry is passionate about: persuasion. Even though lawyers engage in persuasion all the time, and it is at the core of the work we do, persuasion is something most are street-smart about, not book-smart. In other words, most people's knowledge of how to persuade tends to come naturally or is attained by observing how other talented persuaders behave. I spend a great deal of time reading about the science of persuasion, studying those who do it well and practicing the craft myself. I tend to separate visual persuasion and oral persuasion, but they are, of course, fundamentally interrelated as many of these TED talks touch on. Across our service areas at A2L, persuasion is central to our jury consulting and our litigation graphics consulting practices. Thus, it is something we are consciously doing as litigation consultants and as visual persuasion consultants every day. 14. Influence at Work: Proven Science for Business Success: "Rarely, in isolation, does information influence or persuade us." At A2L, this sentence rings true with our core belief system and offers the primary reason our firm is hired by so many litigators. This speaker does a good job of discussing how information can overwhelm and introduces proven scientific techniques for persuasion. There are good lessons here for how to communicate with jurors. 13. Storytelling, Psychology and Neuroscience: A graduate student explains the connection between these three concepts in a way that would be useful for most lawyers to understand. 12. The Science of Stage Fright (and how to overcome it): I have seen many litigators with dozens of years of experience get nervous, sometimes distractingly so, in court. This TEDed presentation discusses the physiological effects of stage fright and how to overcome fear of public speaking. 11. Why We Should Trust Scientists: Frequently, litigation involves science. This talk provides a good framework for explaining why we should believe in science. It can be a useful guide for helping to explain to a jury why your expert is correct. 10. The Impact of Persuasion: As many TED speakers discuss, Don Norman discusses how social proof influences our behavior and other scientific concepts of persuasion. These concepts are useful to keep in mind when communicating with judges and juries. 9. The Aesthetics of Decision Making: The hero's journey is discussed and the real truths about how decisions are made are revealed. 8. Persuasion: Influencing the Rational Decision Maker: A shopper strategy consultant discusses how people make decisions. Many lessons for persuasive visual communications are discussed. 7. Hear "Yes" More Often with the Science of Influence: This speaker discusses how to use influence and persuasion based on the latest science. Concepts such as information social influence, authority and reciprocity, are discussed. 6. 3 Ways the Brain Creates Meaning. Information designer Tom Wuject discusses something near and dear to me: how the brain processes visual imagery and makes meaning out of it. The applicability here for litigators is wide ranging. In particular, the techniques discussed here are excellent for case preparation in complex cases. Furthermore, he lays out some of the fundamental reasons that litigation graphics are essential in every single trial. 5. The Mystery of Storytelling: This TED Talk helps explain why most storytelling fails and offers a methodology for telling good stories. We have talked a lot about storytelling, written a book on the topic and even offer a recorded version of our popular storytelling for litigators webinar for free. This talk complements our work well by offering a structure for a good story. 4. How Your Working Memory Makes Sense of the World: This talk focuses on the something we discuss frequently on our blog, namely, working memory. If you understand how working memory operates, you can better understand how to persuade an audience. In a nutshell, people have a very limited working memory. Thus, what we present at trial must be incredibly simplified and properly structured. 3. Leadership Storytelling: "Most stories do not work." Stories must be true, must be positive, must be simple and must contrast the before and after to be effective. Consider this when putting together your next opening or closing. 2. The Power of Story: PR agent Greg Power discusses why storytelling works. 1. How to Avoid Death by PowerPoint: At A2L, we frequently write about how best to use PowerPoint, and how we work with litigators, CEOs and advocates to find the best ways to persuade using this tool. This speaker does a good job of summarizing many of our beliefs about what works best when persuading with PowerPoint. I don't agree on every point (e.g. the use of dark backgrounds), but we agree on almost every point. If you'd like to learn more about our recommendations for how to use PowerPoint, read our articles on the topic, download a free book we have written about it or watch our popular webinar about persuading with PowerPoint. I hope that you have found this list helpful. If there are other good TED talks for lawyers, litigators or anyone seeking to persuade an audience, please post a link to them in the comments below. What is Visual Persuasion and What Do You Need to Know About It?